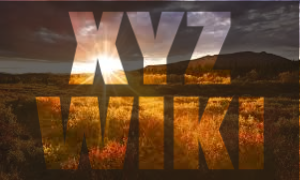 The Sunrise Phases have commenced for the .XYZ and .WIKI gTLDs. The .XYZ domain is being promoted as an affordable extension “for every website, everywhere” with a universal mass market appeal and a multimillion dollar promotional budget. The Sunrise Phase is a 60 day end date Sunrise offering corporate clients an opportunity to secure their trademarks and protect their brands under the „new generation domain”. The .WIKI domain is being touted as the perfect name-place for businesses to build their own Wiki pages. April. The two domains are aimed at bars and restaurants across the globe. The Sunrises will commence on 9 April and close on 7 June, followed by a Landrush Phase from 9 June to 8 July and General Availability Phase on 10 July. Furthermore, commencing 31 March is the Sunrise for the tattoo- and ink-oriented industries domain – .INK. The Sunrise Phase closes on 2 June, then a Landrush Phase from 5 to 19 June followed by General Availability Phase on 23 June. If you wish to take advantage of the Sunrise Period for any of the above mentioned domains or are interested in registering a domain name under any other domains, please contact our Support Team at support@web-solutions.eu or via phone on +44 (0) 208 133 3994.